As noted in our February edition, the Skills@Work team has moved to the Department of Education and Training. As a result of this, we have a new email address – skillsatwork@education.gov.au. This is the address to which all submissions and subscriber requests must now be sent. If you have any other email addresses for us, please remove them from your contact lists. Thank you! On 5 February, the Assistant Minister for Education and Training, Senator the Hon Simon Birmingham, gave a speech to the Australian Chamber of Commerce and Industry. Titled The Skills for the Job: Ensuring vocational education and training delivers for employees and employers, the speech emphasises the importance of the VET sector to the Australian Government, as well as outlining sector concerns and how these may be addressed. You can read the speech on Senator Birmingham’s media site. some examples of what RTOs are doing to connect their students with the USI. Not surprisingly, students have been the biggest creators of USIs so far, with just under 20 per cent being created by RTOs. Creating a USI online is free and only takes a few minutes. Since the USI Office opened its doors, the USI contact centre has developed a databank of knowledge to help students and RTOs. The USI Office's presentation provided some simple solutions to help connect with the USI. Examples were showcased of how some RTOs are engaging with students and how they are already incorporating the USI into their enrolment processes. It was highlighted in the presentation that the thousands of RTOs who are now connected with the USI Registry System will be able to meet this year’s Total VET activity reporting requirements. The presentation also reassured those RTOs who haven’t yet made the transition that it’s not too late to get connected. If you need help with the transition, please see USI’s Training Organisation information page. Be recognised nationally at the 2015 Australian Training Awards! For more information, visit www.australiantrainingawards.gov.au, phone (02) 6240 8155 or send an email. Join the Australian Training Awards on LinkedIn. Do you want to know more about your learners’ work related skills or LLN skills? The Australian Council for Educational Research (ACER) is developing the comprehensive Foundation Skills Assessment Tool (FSAT) for the Australian Government. The FSAT is mapped against the Australian Core Skills Framework (ACSF) for language, literacy and numeracy skills and against the Core Skills for Work Developmental Framework (CSfW) for employability skills. Trials of FSAT have now commenced and will continue until at least the end of March 2015. Whilst ACER has received many expressions of interest in participating in the FSAT trials, more participants are required to undertake the assessments. Trades Recognition Australia (TRA) is a designated skills assessment authority under the Migration Regulations 1994 specialising in assessment services for people with trade skills gained overseas and in Australia for the purpose of migration and skills recognition. Optional Skills Assessment Service (OSAS). TRA is also seeking EOI from RTOs that have demonstrated experience in managing RPL processes and in assessing training package qualifications for the Trades Recognition Service (TRS), a new domestic skills assessment service for identified metal and electrical occupations. Further information, including details of how to obtain copies of the EOIs can be found on the TRA website. Enquiries can be sent by email. A series of workshops will be held to discuss the project and share some of the tools that have been developed. These workshops will be tailored for RTOs training and assessing apprentices. The Engineering Excellence project has direct relevance to metal trades, but any other trade dealing with competency based wage progression, such as building and construction or automotive, may be interested in adapting what has been developed. Other stakeholders such as employers, group training organisations, apprentice field officers / training consultants and Australian Apprenticeships Centres are also welcome to attend. Half day workshops will be held, with lunch provided. The next workshop will be held in Townsville on 11 March 2015. To register please email AiG’s Peter Canavan. Australian employers will be contacted in the coming weeks as part of the Survey of Australian Employers to identify the ways in which they meet their skill needs and how effective these strategies are. Managed by the National Centre for Vocational Education Research (NCVER), the survey aims to collect the views of 9000 employers, from across the country and from all industry sectors. Further information is available on NCVER’s website. Get informed with the third edition of Velg Training’s free quarterly Staying Connected in VET eZine! This edition features articles from the Australian Skills Quality Authority (ASQA), the new Assistant Minister for Education and Training, Senator the Hon Simon Birmingham, the Assistant Minister for Employment, the Hon Luke Hartsuyker MP, the Australian Chamber of Commerce and Industry and industry experts from across Australia. You can access a complimentary copy of the eZine at Velg’s website. All MEA components have been updated to comply with the new TP Standards, and the package extended to include four new paraprofessional engineering Diploma and Advanced Diploma qualifications. You can view MEA and access the implementation guide at MSA's website. Earlier this month Federation University hosted a presentation of its findings as part of its national research project, Recognising the skill in jobs traditionally considered unskilled. MSA has been involved as an industry partner in the three year project, which investigates unidentified and undervalued skill in jobs within the service and manufacturing industries. The project aims to provide evidence that will suggest improvements in the development of vocational education and training qualifications and in companies' use of skills. Find out more about the project at MSA's website. MSA is an official supporter of the Australian Workplace Practitioners' Network (AWPN) 2015 National Conference. Amongst the lineup of speakers presenting will be MSA’s CEO Bob Paton and Deputy CEO Cameron Baker. Further information about this event, and registration information, is available in the Upcoming events section of this newsletter. MSA has partnered with Women in Adult and Vocational Education (WAVE) for its inaugural WAVE National Conference on 8 April in Melbourne. With the theme Leaders, teachers, learners, leavers: Women in the Australian VET Market, the conference will explore issues of most concern to WAVE. This month we are putting the spotlight on vocational education and training opportunities in the health and care sectors. With a desire to enter the health care profession, Alex Jones balanced her Year 11 and 12 studies with an Australian School-based Apprenticeship in Aged Care Work. She had always enjoyed the first aid elements of her army cadets and rural fire services volunteering, and knew that she wanted to be a nurse. After winning the 2010 NSW School-based Apprentice of the Year Award, she was the runner up for the national award at the Australian Training Awards. 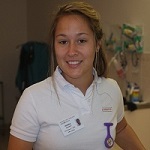 Alex is an Australian Apprenticeships Ambassador and is now studying nursing at university in Bathurst. Read more about Alex’s journey here. 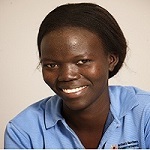 After coming to Australia as a refugee when she was a teenager, Jane Alia’s dream of joining the medical profession has been realised – she is a fully qualified dental assistant after completing an Australian School-based Apprenticeship. Keen to give back to her community, Jane volunteers at a refugee centre in Darwin and is the Youth Representative for the Nothern Territory Council for Human Rights Education. She was the Northern Territory’s School-based Apprentice of the Year in 2012 and a finalist in that category at the Australian Training Awards, and is now an Australian Apprenticeships Ambassador. Read more about Jane’s journey here. Jessica Taggart has wanted to be a nurse since she was very young, after her younger sister received medical assistance for congenital heart disease. She commenced an Australian School-based Apprenticeship in Year 11, enjoying the experience of working in the industry while pursuing her HSC. Jessica was the NSW School-based Apprentice of the Year in 2012 and was the runner up in the Australian School-based Apprentice of the Year at that year’s Australian Training Awards. 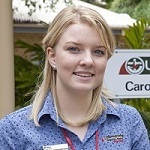 She is now studying a Bachelor of Nursing at the University of Newcastle and is an Australian Apprenticeships Ambassador. Read more about Jessica’s journey here. Women in Adult and Vocational Education (WAVE) is partnering with Manufacturing Skills Australia (MSA) to hold a significant conference, highlighting issues for women educators and industry. The conference is titled Leaders, teachers, learners, leavers: Women in the Australian VET market. The WAVE conference will be held at Victoria University the day before the Australian VET Research Association (AVETRA) conference, which will also focus on the impact of the marketisation of vocational education and training. WAVE is a non-government organisation and is the only national organisation with a focus on women and post compulsory education and training, representing the interests of educators, industry, community and students. All of these groups will be represented at the conference. WAVE has a great line-up of speakers including Miriam Silva, a/g CEO of TAFE SA, Susan Hopgood, President of Education International, Sally Thompson from Adult Learning Australia and the Hon Fiona Richardson MP, Victorian Minister for Women. Academics including Erica Smith, Ruth Schubert and Kira Clarke, and industry representatives from Fanelle, Industry Women Central and Manufacturing Skills Australia will also be attending. The conference will give women the opportunity to hear about and engage in discussion around those issues of most consequence to them in adult and vocational education today. Registration and further information can be found on WAVE's website. AITD2015 is the leading annual conference for training, learning and development and organisational development professionals. Over 2220 units of competency to support more than 170 qualifications and over 100 skill sets across 14 training packages (AUR12, BSB07, CHC08, CPP07, FSK, HLT07, FNS10, FDF10, ICA11, SIB10, SIR07, SIT12, TAE10, TLI10) have been improved. a new user guide, which is an essential resource to support your organisation's integration of our resources into your Training and Assessment Strategy. The complete catalogue of resources is still available in the original assessment model format allowing you to choose between the new assessment model, the original assessment model, or a combination of both for your training. Another major improvement is the introduction of an online editable assessment tool which allows you to edit the assessments, creating your own contextualised assessments with ease. Edited resources can currently be published in print, with the ability to publish for online training to be available for you in the coming weeks. To make the transition to this new assessment model easier for you, webinar information sessions have been conducted and recorded. You can learn more about the improvements on the smallprint and Catapult eLearning YouTube channels. If you have any questions please contact smallprint via email or phone (08) 8275 9333, or Catapult eLearning via email or phone (08) 8275 9380. ‘Purpose build’ feeds on your own topics, e.g. a feed on practitioners in VET can be set up in your browser. If you would like to provide feedback, supply an article for inclusion in the next edition or join our list of subscribers, please email skillsatwork@education.gov.au. The next edition will be published in April 2015. Submissions are due by 18 March 2015.